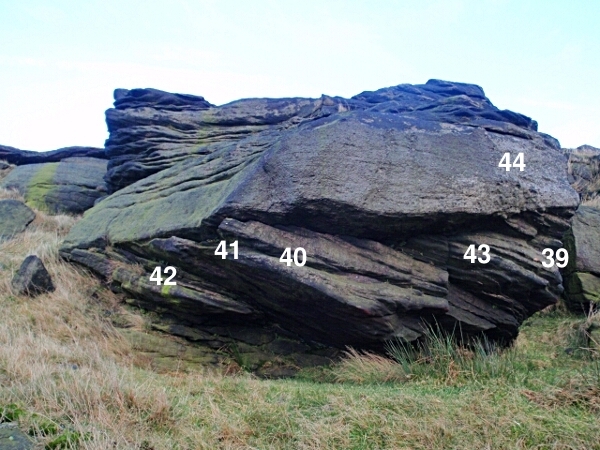 Standedge is technically in Lancashire and not Kirklees however, due to its quality bouldering and proximity to Kirklees it is included in our guides. 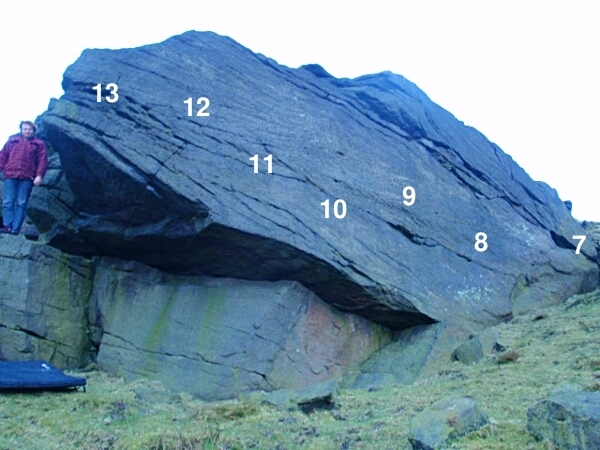 The old quarry has a few routes but it is the edge itself that has a range of quality bouldering on nice rock. 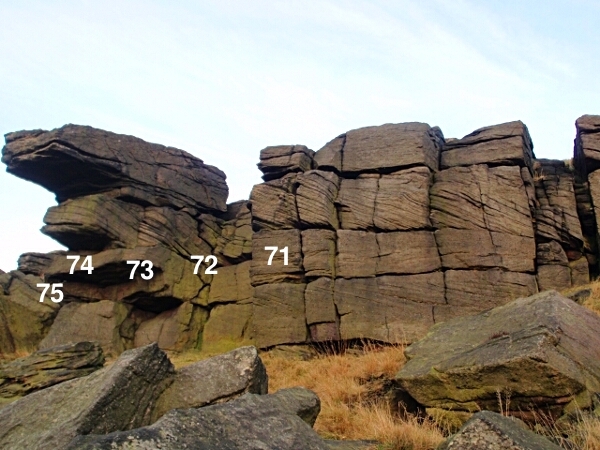 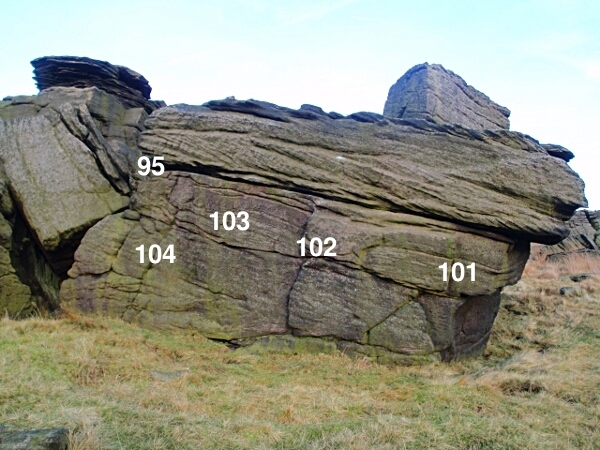 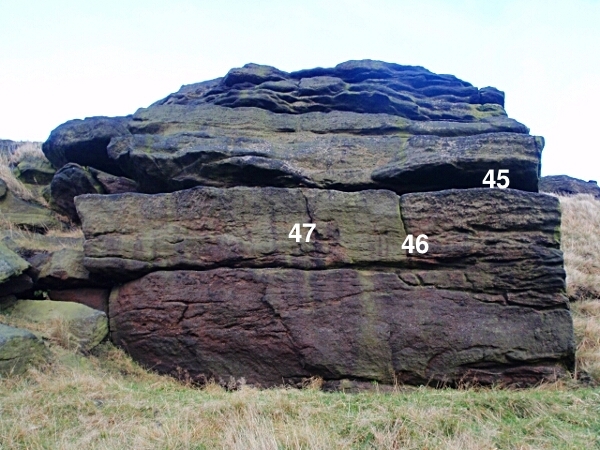 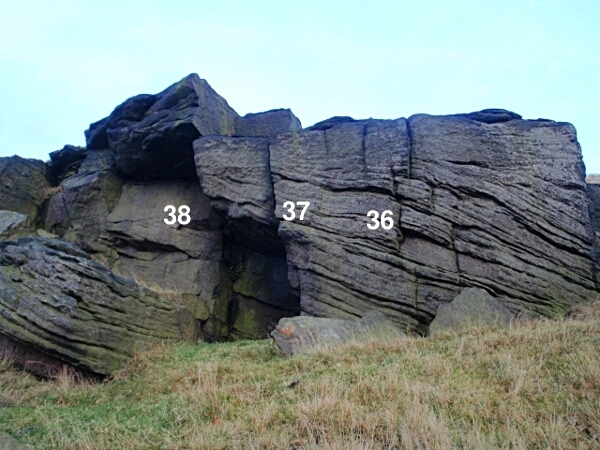 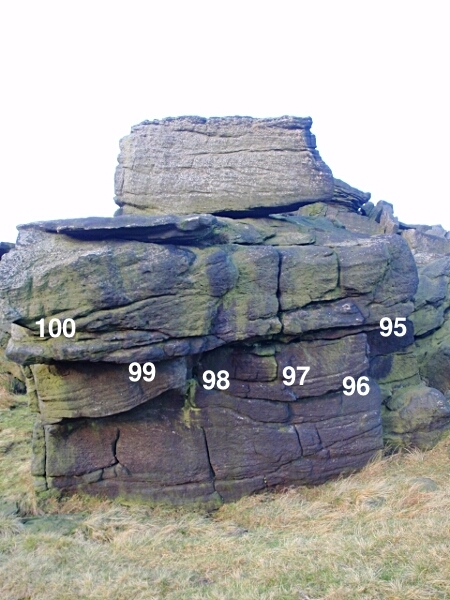 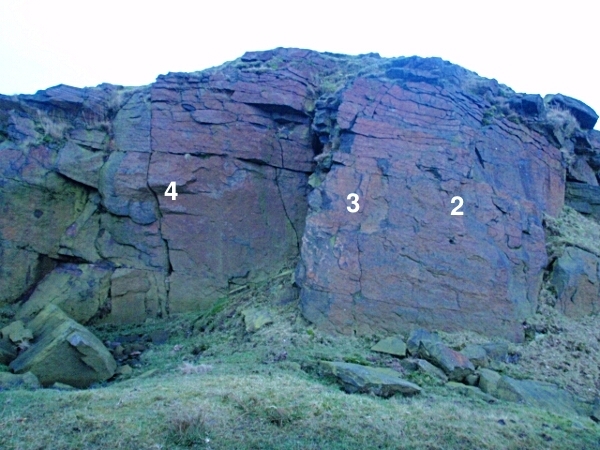 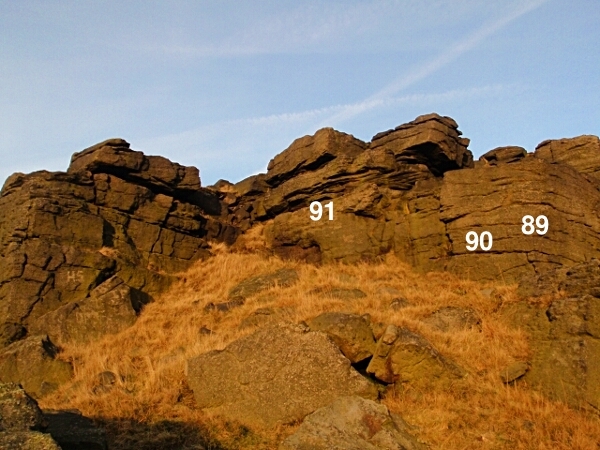 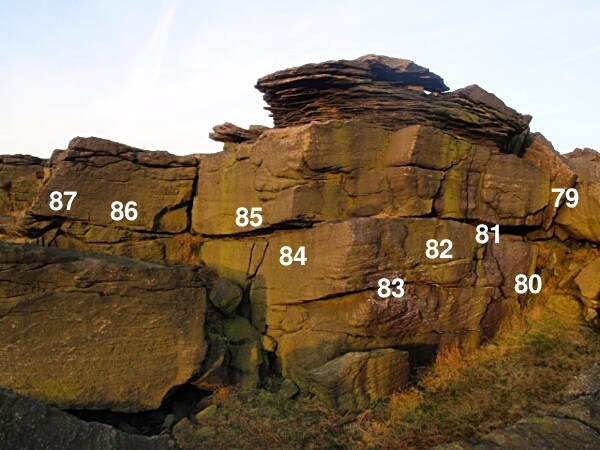 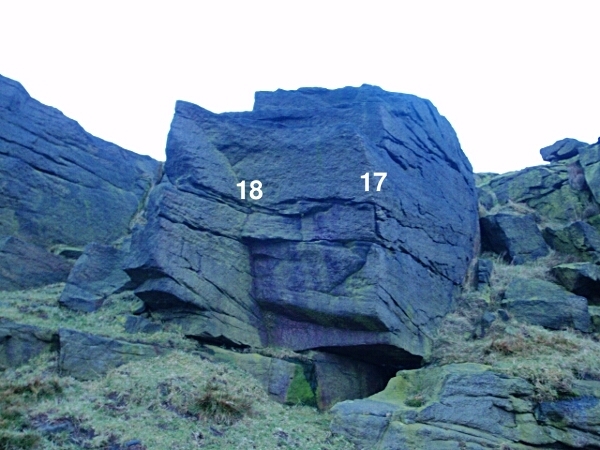 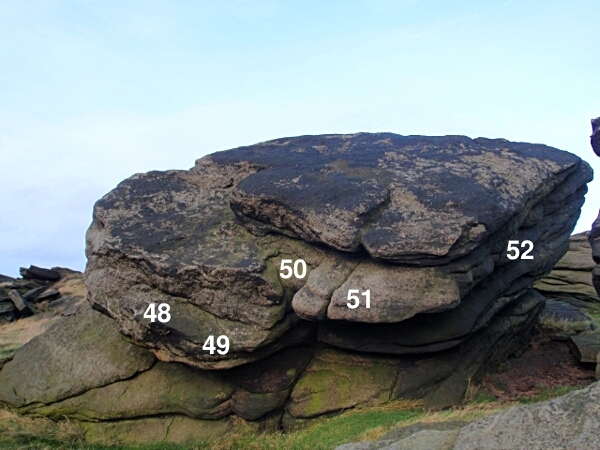 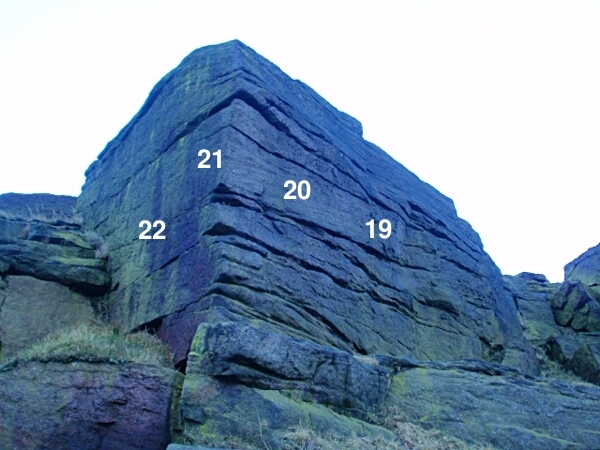 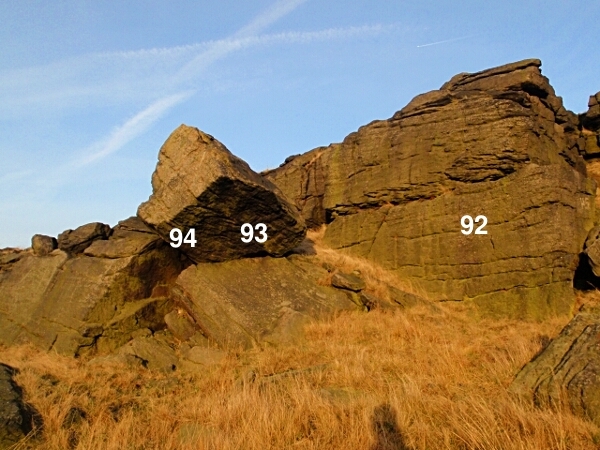 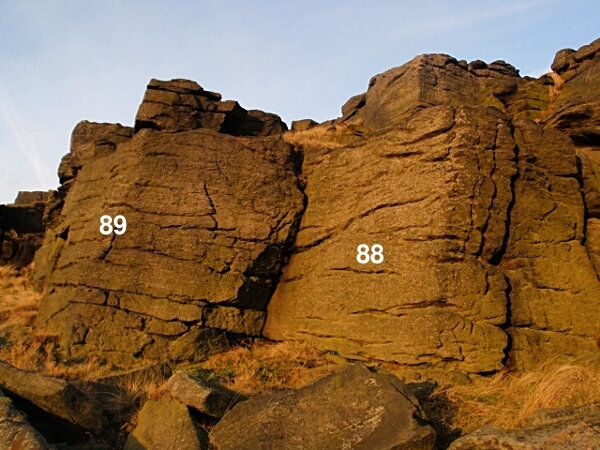 Names of the problems are as per the 2002 Huddersfield Area Bouldering Guide and the new Over the Moors BMC guide, where the names do not match the Huddersfield name is used first and the BMC name is in brackets to aid with problem identification and logging. 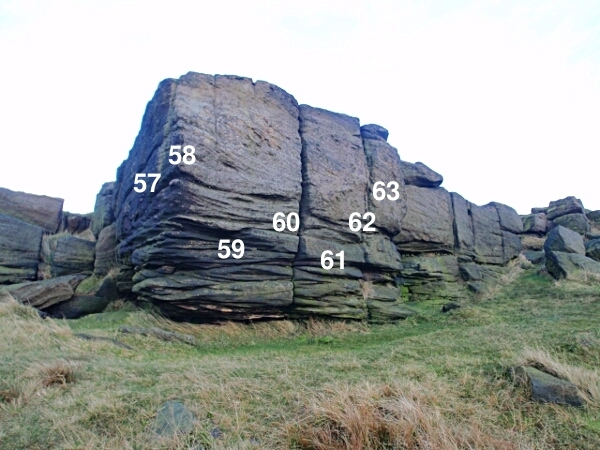 Park up in the layby on the A62 where it is crossed by the Pennine Way. 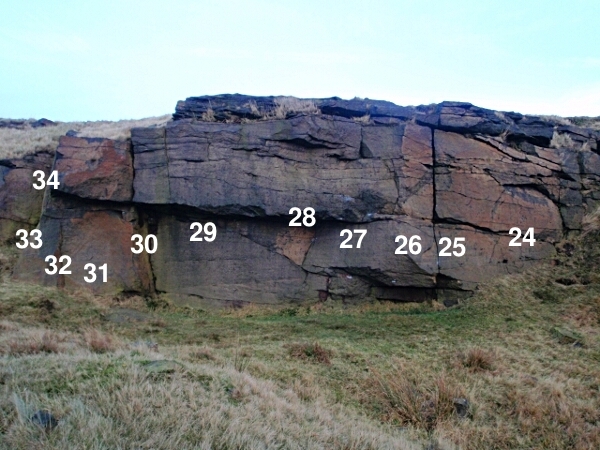 Cross the road and head north on the Pennine Way through some fields and up onto the moors. 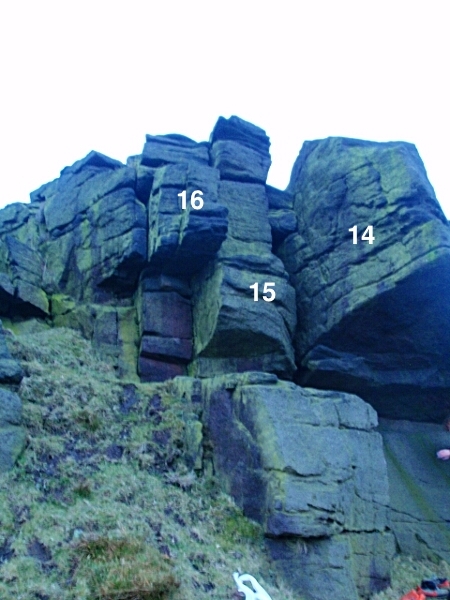 The majority of the problems lie below the path on the left. 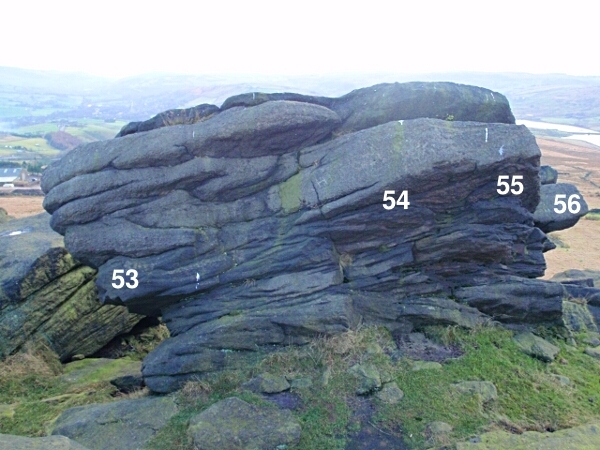 They are quite spaced out and as such it might be a good idea to familiarise yourself with the layout from our website before venturing out. 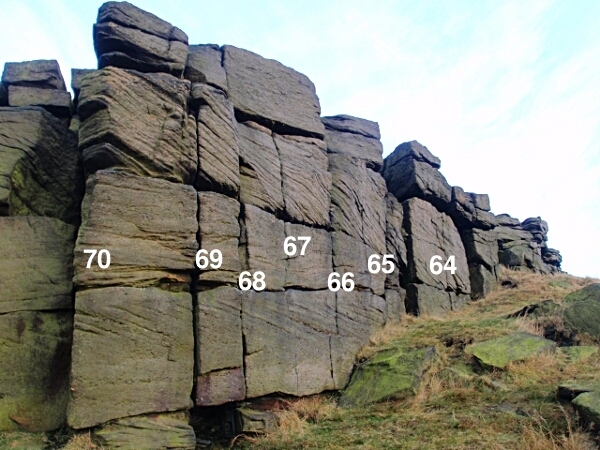 The Problems are described from South to North along the edge as you reach them walking from the A62 along the Pennine Way. 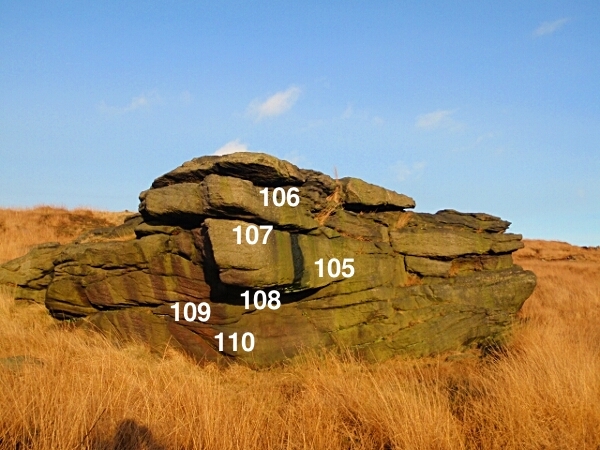 They are split into 10 sectors as shown by the markers on the above map. 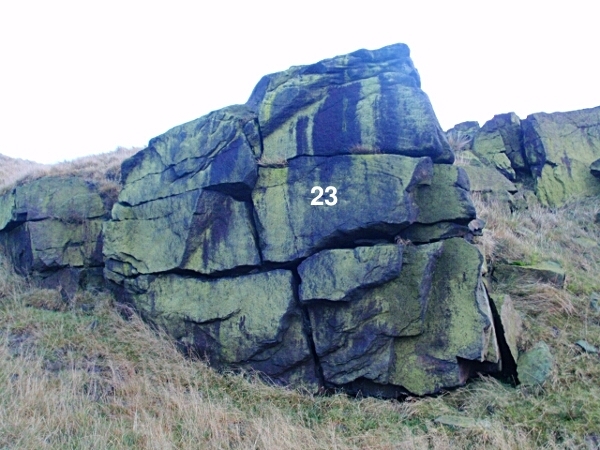 23) Font 3 The small gently leaning wall, so green it is rumoured to glow in the dark! 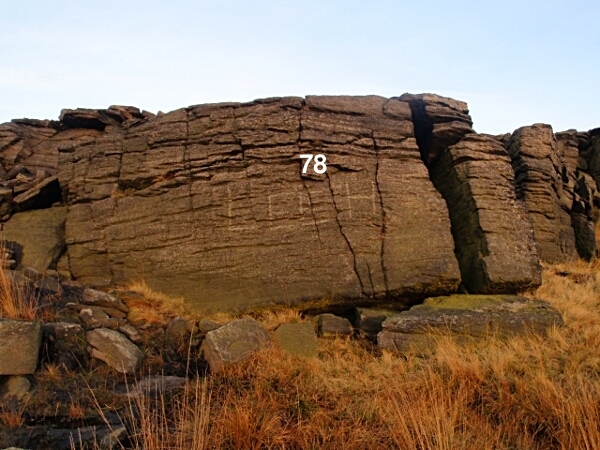 34)	SHEEP SKELETON (DEAD SHEEP) TRAVERSE - Font 5 Traverse the wall from left to right, rumoured to stay dry in winter! 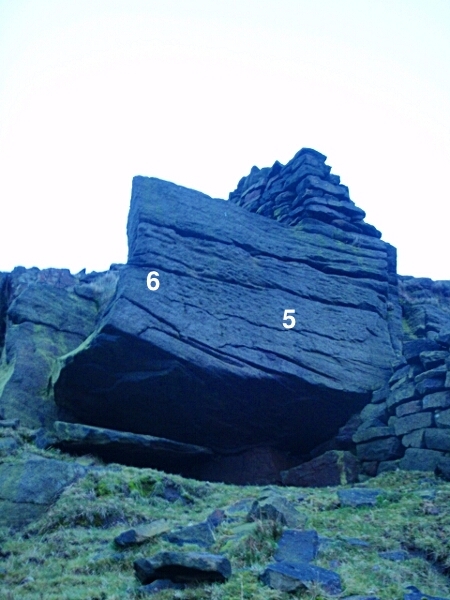 74)	TERRORDAKTIL - Font 5 The three overhangs taken direct, high!